Thank you to all of our friends and musical peers who have come out to support our residency at the Blue Whale. Each night has been special in its own way and we’re very grateful to have had this opportunity to expand the context for Ethio Jazz in Los Angeles. 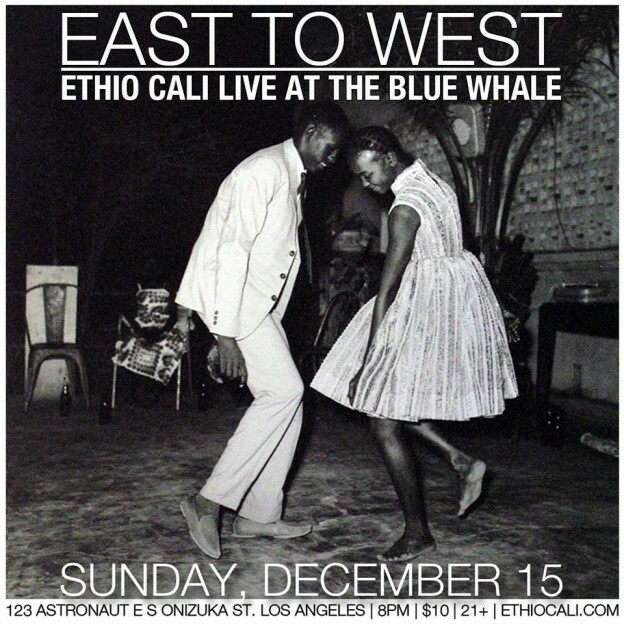 For the final night of our residency on Sunday, December 15th, we will branch out beyond the musical terrain of Ethiopia by performing a special set of music from West Africa and other parts of the continent. We will reimagine selections from the catalogs of legendary groups such as Orchestre Poly-Rhythmo, Hugh Masekela & Hedzolleh Sounds, Fela Kuti, Les Ambassadeurs, amongst many others. We’re excited to play this awe-inspiring music and hope that you’ll journey East to West with us for yet another magical night.